In celebrity news, Justin Beiber made an appearance in wife Hailey Baldwin’s cute promotional video on Instagram. According to UsMagazine.com, Bieber doted upon his wife, kissing her temple, offering her almonds, and teasing Baldwin about her shirt as she waited for Kelia Monaz to join her Instagram live. The celebrity couple even sang together at one point during the stream. They’re super cute together! In celebrity news, Justin Bieber is clearly smitten with his wife. What are some small ways to make your partner feel special on a daily basis? …Eager for more? Click here! In celebrity news, Justin Bieber and Hailey Baldwin showed us just how strong their celebrity relationship is. According to EOnline.com, photos were recently taken of Bieber crying with Baldwin by his side. As questions were raised and celebrity gossip began to swirl about the celebrity couple, Bieber assured everyone that everything was fine. Bieber chalked it up to having a bad day. In celebrity couple news, Justin Bieber took comfort in Hailey Baldwin’s arms. What are some ways to console your partner when he/she is upset? 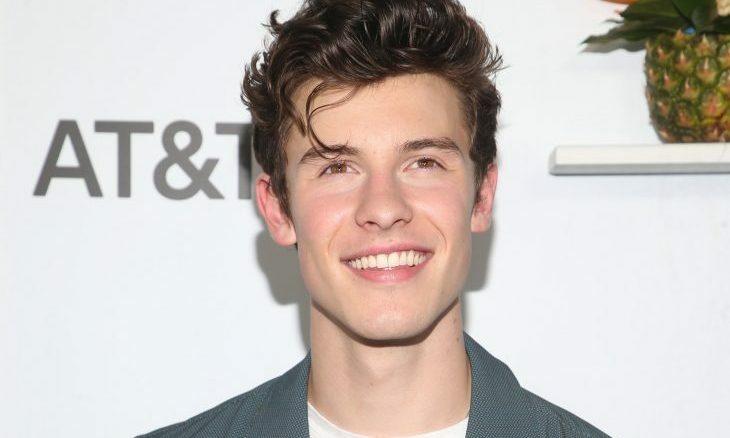 In celebrity news, Shawn Mendes insists there’s no bad blood between him and Hailey Baldwin. What are some ways to keep the peace with your ex? …Click here to read Cupid’s advice! 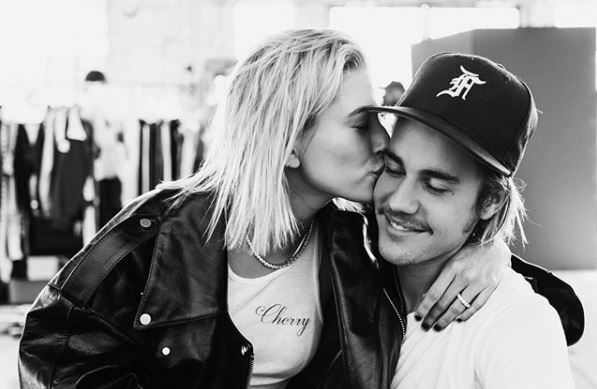 In celebrity news, Justin Bieber and Hailey Baldwin’s engagement seems to be just what this blossoming celebrity relationship needed. According to UsMagazine.com, we know Bieber’s stardom came after being adored by the younger generation during his debut. Since then, the pop star hasn’t been able to shake this image. The celebrity couple are more than excited for their future. With talks of a celebrity wedding, it looks like our Bieber is growing up. This celebrity engagement came at a good time in Justin’s life. What are some ways to know you’re ready for marriage? In celebrity couple news, Justin & Hailey are celebrating their love with a boat ride. What are some romantic activities you can partake in with your partner? 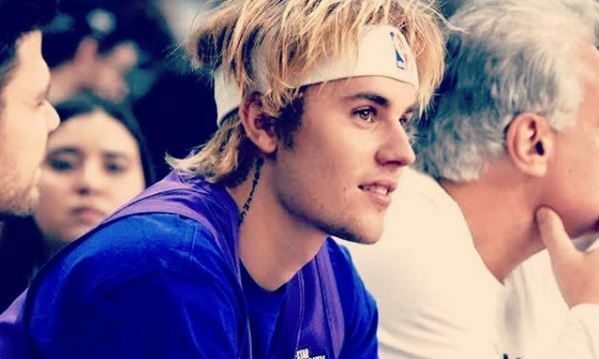 In celebrity relationship news, Justin Bieber confirmed his celebrity engagement to model Hailey Baldwin in a lengthy Instagram post on July 9. Bieber posted two black-and-white photos of himself and Baldwin, captioned, “Was gonna wait a while to say anything but word travels fast, listen plain and simple Hailey I am soooo in love with everything about you! So committed to spending my life getting to know every single part of you loving you patiently and kindLY. I promise to lead our family with honor and integrity letting Jesus through his Holy Spirit guide us in everything we do and every decision we make. My heart is COMPLETELY and FULLY YOURS and I will ALWAYS put you first! You are the love of my life Hailey Baldwin and I wouldn’t want to spend it with anybody else. You make me so much better and we compliment eachother so well!! Can’t wait for the best season of life yet!. It’s funny because now with you everything seems to make sense! The thing I am most excited for is that my little brother and sister get to see another healthy stable marriage and look for the same!!! Gods timing really is literally perfect, we got engaged on the seventh day of the seventh month, the number seven is the number of spiritual perfection, it’s true GOOGLE IT! Isn’t that nuts? By the way I didn’t plan that, anyways My goodness does feel good to have our future secured! WERE GONNA BE BETTER AT 70 BABY HERE WE GO! ‘He who finds a wife finds a good thing and obtains FAVOR from the Lord!’ This is the year of favor!!! !” According to UsMagazine.com, the “Love Yourself” singer proposed to Baldwin while they were vacationing together in the Bahamas. The couple originally dated from 2015 to 2016, but rekindled their romance this past June. This celebrity engagement news is the talk of the town right now. What are some ways to publicly show your affection for your partner like Justin Bieber just did? …Can’t stop reading? Click here to read on! In celebrity news, Selena Gomez is reportedly unbothered by celebrity couple Justin Bieber and Hailey Baldwin’s engagement. According to UsMagazine.com, Gomez was seen on a boat with her friends living her best life when news broke about the engagement. Bieber and Gomez were a couple from 2011 to 2015, on and off. After the celebrity relationship ended for the last time, Gomez and her circle don’t speak about Bieber. Apparently in the past, Bieber had a habit of making his relationships very public to upset Gomez. By the looks of it, Gomez is more than okay with this recent development. In celebrity news, there’s no big green monster to be found in Selena Gomez. What are some ways to handle jealousy when your ex moves on with someone new? In latest celebrity news, it looks like Justin Bieber and girlfriend Hailey Baldwin are engaged. According to EOnline.com, the on-again-off-again celebrity couple have been dating for three years. Within the last couple of weeks, Bieber and Baldwin started up their celebrity relationship again and have been in love ever since. Sources say the couple are very happy and enjoy each other’s company. Who would’ve thought just a few weeks of a rekindled love would lead to a celebrity wedding? There’s a celebrity wedding in the works for Justin and Hailey. What are some ways to know you’ve been dating long enough to get engaged? 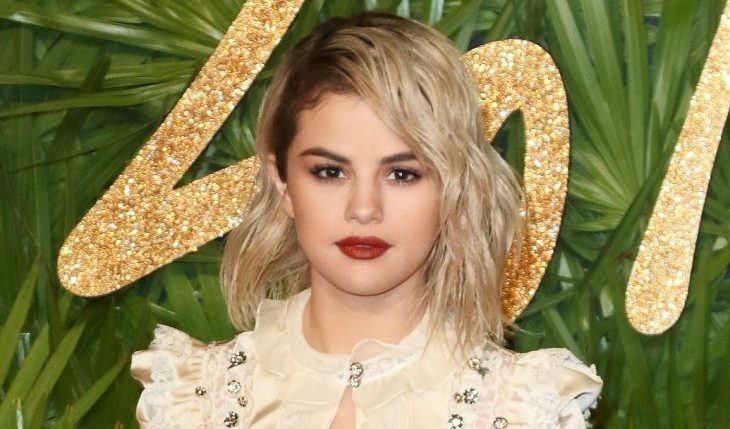 In celebrity news, Selena Gomez has moved on from her celebrity ex Justin Bieber and has no interest in getting back together with him in the foreseeable future. According to EOnline.com, sources say she is in a better place now after some self-reflection. “She respects him as a person, but has decided she is much happier doing her own thing. Selena rarely even talks about Justin anymore, and is fully open to dating,” a source said. Another source added that the former celebrity couple are not in contact either. Gomez is doing great in her career and friends and family are happy to see her doing well. Good for her! These celebrity exes are going to remain exes, at least for now. What are some ways to decide that you’re better off without someone? There are a lot of beautiful celebrity couples out there, but there is one in particular that we’ve all come to admire and treasure: Justin Bieber and Selena Gomez. Society has perhaps learned more from observing their dating story than we could from reading a relationship book! Although they’re currently on a break right now, that doesn’t mean that we can’t learn from this super cute couple. …Want to hear the rest? Click here! Celebrity News: Has Justin Bieber Moved On from Selena Gomez With Baskin Champion? In celebrity news, Justin Bieber may have moved on from Selena Gomez! According to EOnline.com, Beiber was seen with Baskin Champion on Tuesday night at the Roxy in Los Angeles. Photos show the potential celebrity couple exiting the venue and leaving in the same car. According to sources, they’ve actually hung out multiple times, and always seem to flirt and have fun with one another. “Justin has been hanging out with Baskin,” a source said, adding that after the show Bieber and Champion went back to his house. “Justin had friends with him but they all left and Justin and Baskin were alone together for the night.” We wonder what Gomez has to say about this. Was their break an actual celebrity break-up? In celebrity news, we’re wondering if Jelena is old news. What are some ways to know you’re ready to move on after a break-up? In celebrity news, celebrity couple Justin Bieber and Selena Gomez put their relationship on hold due to her family’s disapproval of Bieber, according to UsMagazine.com. “Selena and Justin decided to take a break mainly because of Selena’s mom and her disapproval of Justin,” a source said. “Justin’s family loves Selena, but Selena’s family has put her in a very conflicting spot because they still don’t trust Justin. Selena has tried to convince her family that Justin has changed … but her family just isn’t budging right now.” Because Gomez’s relationship with Mommy Dearest was affected after she got back with Bieber, there is tons of pressure and negativity in the air. “It’s been hard for her because she is super close with her mom. Her mom was her rock when she was having her health complications,” the source added. “Justin and Selena decided to take a break to give her family some more time to heal and take in the idea of her and Justin being a couple again.” As if that’s not enough, Bieber “doesn’t care about anyone but himself,” another source said. “The second she saw it, she walked away, especially now with her health. She knows she doesn’t need him.” Let’s see what happens in this messy situation. This celebrity break-up is said to be sparked by Selena’s mom. What are some ways to deal with a parent who doesn’t like your significant other? …Click here for Cupid’s Advice! In celebrity news, celebrity couple Selena Gomez and Justin Bieber are putting things on hold, but it’s not over. According to EOnline.com, multiple sources explained that Gomez and Bieber are giving one another space, but they talk often. Seems like this couple is working through their problems and not calling it quits just yet, after they rekindled their romance in November. “They were having a lot of little disagreements recently and one fight in particular blew up and caused them to decide to ‘break up,’ however, they’ve been in contact the entire time and their feelings for each other have not changed,” said a source. “They will absolutely get back together and they are not over, but they both need some time away from each other.” To add on, another source explained that not seeing eye to eye is the issue on top of the pressure the couple receives from their relationship being i n the public eye. Can Jelena make it through? We shall see! In this celebrity news, Jelena are dealing with some relationship issues. What are some ways to get through a tough period in your relationship? …Click here for some relationship advice! Happy 24th Birthday Justin Bieber! In celebrity news, Bieber enjoyed celebrating his birthday with his friends and family. According to EOnline.com, Bieber met up with some friends for a birthday lunch at the London West Hollywood. After that, they went to MB2 Raceway in Sylmar, California for some fun go-kart racing. A few pals that were in attendance for this celebration were Pastor Carl Lentz, Pastor Judah Smith, Scooter Braun, Ryan Good and Justin’s mom Pattie Mallete. Missing someone? The other half of the hottest celebrity couple, Selena Gomez, didn’t make it for Bieber’s birthday festivities. Although, she did send him happy birthday wishes via Instagram. In celebrity news, Justin Bieber had a blast celebrating his birthday even without Selena. What are some ways to make your partner’s birthday special? …Want more details? Click here! In celebrity news, Jelena flew to Justin’s dad’s wedding in a private jet. What are some ways to make a wedding date special? …Curious for more? Click here! This past weekend, Justin Bieber and Selena Gomez ventured on a much needed romantic getaway to Laguna Beach, California. According to EOnline.com, the celebrity couple stayed at the Montage Hotel in a low-key fashion. In latest celebrity news, Bieber and Gomez “took a walk on the path in front of the resort that overlooks the ocean. It was a cloudy day, [so] they didn’t spend too much time outside.” Multiple fans spotted the couple and reported their findings. Hopefully Bieber and Gomez enjoyed their quick romantic getaway! A mini romantic getaway is just what the doctor ordered. What are some ways to keep the spark alive in your relationship? …On the edge of your seat? Click here! Relationship Advice: What If Your Family Doesn’t Approve Of Your Partner? Choosing a partner for life is a big deal under any circumstances. There’s enough pressure on yourself to ensure that you’re making the right decision and meeting all your needs. So what happens when you come up against a thumbs down from a parent, sibling, or friend who has been weighing in on your choices all your life? Why is it that the people you love take a contrary position and see your partner completely unsuitable for you? Why can’t they just welcome the people your care about with open arms? If this sounds like a familiar situation, you are not alone. This is a very common experience for many people, and it happens for a lot of reasons. It speaks to declaring your independence, freedom of choice, autonomy, and, most importantly, trusting your own judgement to know what is best for you, rather than what others think is best. In latest celebrity news, Selena Gomez‘s mom is not too fond of Justin Bieber. Celebrity couple Gomez and Bieber have been stirring on and off celebrity gossip for a couple years now. Right now in latest celebrity news, they seem to be on. According to EOnline.com, Bieber’s mom posted an Instagram with a caption that praised how proud she is of her son and how beautifully he is maturing. With all of this talk of Gomez’s mom not approving of Bieber, Bieber’s mom had to show the world that no one is perfect so we need to have patience with one another. This celebrity news has us clapping. What are some ways to get support when your partner’s parents don’t approve of you? …Want more celebrity gossip? Click here! Oh Europe, how beautiful is thee! Europe is definitely a great place to vacation, and it’s one of the areas at the top of the list for celebrity travel. It has a rich history, and it’s full of culture. Europe is a large area with countless stunning spots, so limiting them to five is not an easy task. That said, here are five “hot” vacation destinations in various European countries that your favorite celebs routinely enjoy! …Click here to read more. Selena Gomez is finally opening up about her recent romantic reunion with Justin Bieber! Gomez and Bieber were once infamous for their on-again-off-again romance, but the singer has a positive attitude about her celebrity relationship this time around, reports UsMagazine.com. In a recent interview with Vanity Fair, the singer spoke candidly about her past and present feelings for Bieber, saying, “I cherish people who have really impacted my life. So maybe before, it could have been forcing something that wasn’t right. But that doesn’t mean caring for someone ever goes away.” She also revealed that there are no hard feelings toward The Weeknd, and that the celebrity exes remain best friends. This celebrity news is something a lot of fans have been waiting for! What are some benefits to being open about your relationship triumphs and woes? …Click here for more on this story! Though Selena Gomez and Justin Bieber have recently reunited, it appears those close to Gomez are hesitant to accept Bieber back into the family. According to EOnline.com, Gomez’s family “is still getting comfortable with the idea of them back together.” The celebrity couple spent Thanksgiving apart and both agreed to be with their families, because Gomez felt it was too soon to bring him home for the holidays. A source close to the couple says Bieber is hoping to be included in Gomez’s Christmas plans, but knows that her family is hesitant. Hopefully they’ll come around soon! In the latest celebrity news, Selena’s family is taking a while to come around to her rekindled romance with Justin Bieber. What are some ways to foster a positive relationship between your partner and your family? Selena Gomez and Justin Bieber’s rekindled relationship appears to still be going strong. According to UsMagazine.com, the celebrity couple was seen together at Bieber’s hockey match on November 15th. In tow with Gomez was her adorable Cavalier King Charles Spaniel, Charlie. Gomez and Bieber caused quite a stir in celebrity news just weeks ago. Following Gomez’s breakup with The Weeknd, it was revealed that she was dating Bieber again. Though there may have been drama between the celebrity couple with their past on-again-off-again relationship, sources close to the duo say that Bieber has always been Gomez’s soulmate. We’re happy to see that they are going strong! This celebrity news proves that Selena and Justin are still rekindling their romance. What are some ways to rebuild trust in a broken relationship? After only a week without celebrity ex Selena Gomez, The Weeknd has been spotted out on the town with Justin Bieber’s ex Yovanna Ventura. He was seen holding hands with Ventura while hanging out with French Montana, according to EOnline.com. 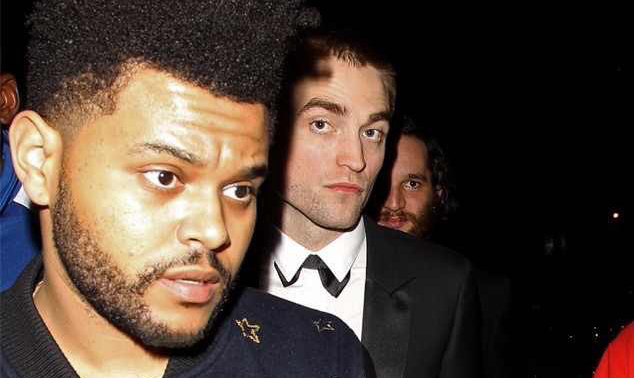 The Weeknd’s partying is the latest celebrity news. He’s been photographed with other celebrities, such as Leonardo DiCaprio, Robert Pattinson, and Emily Ratajkoski as well. Post-celebrity breakup from Selena Gomez, The Weeknd is definitely getting around. What are some ways to recover from a split quickly? …Need dating advice for your newly single state? Click to read more! Relationship Advice: When Is the Old New Again? Jelena is back! Justin Bieber and Selena Gomez are officially back together. This is an instance when what was once old and finished can become new again. Rekindling a relationship in this way can sometimes mean a couple was never really over the feelings they shared for each other the first time around, or that with the passage of time they are simply ready to give it another try. Sometimes extenuating circumstances such as illness can play a role and help them realize what is truly important. 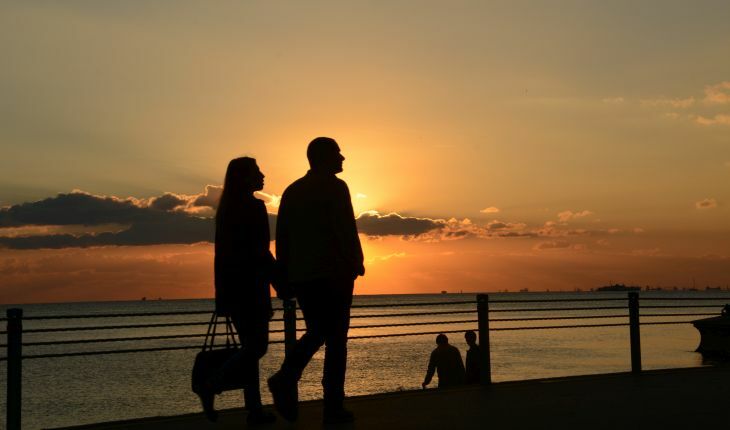 With this in mind, an end is not always really an end, and you might have an opportunity one day to reconnect with an old love if they’re single, too. If that happens, it may give you both a chance to deal with unfinished business, and to move forward the way you may have always hoped you would. How, then, can you get from Point A – a breakup – to Point B – a revived romance?